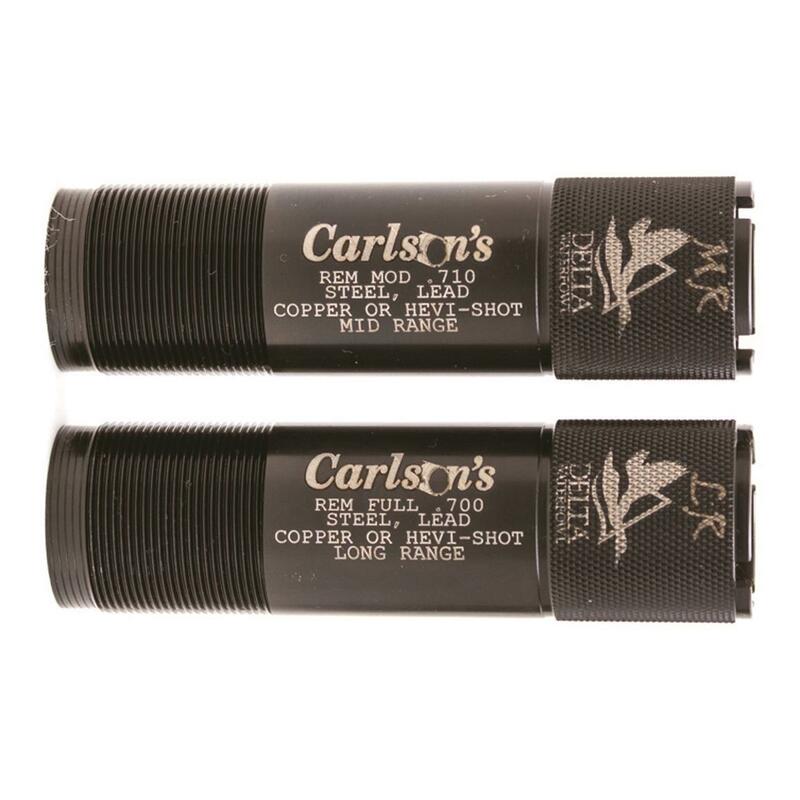 Carlson's® Waterfowl Extended Choke Tubes are designed to throw tighter and denser patterns than conventional chokes—so you bring home more birds. Made from 17-4 stainless, they feature a 25% longer parallel section, thus throwing more consistent patterns. 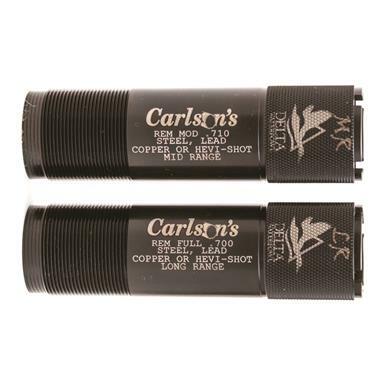 Each Choke is knurled on the end to allow for quick and easy removal, and each has the constriction and size laser marked on the end and body for easy reference. You get 2 chokes: Medium-Range and Long-Range, plus a custom case. Steel shot may be used through these choke tubes with exceptional results. Do not shoot steel shot larger than BB, and do not use any steel load faster than 1,550 FPS.